Winter Exhibition at The Colomb Art Gallery, London now extended until Wednesday 16th March 2011 Paintings and Sculpture available to buy from award winning gallery represented artists. The Colomb Art Gallery 52a George Street, Marylebone, London. W1U 7EA. UK. 020 7487 5118 | www.colombart.co.uk Nearest Underground Stations: Baker Street or Bond Street. For further travel information, please contact the gallery. Award winning painters and sculptors include: Peter Barker. British landscape artist Adam Binder. British sculptor Nick Hais. British painter Wendy Hunt. British wildlife sculptor Neill Jenkins. British artist Fredrik K.B. Norwegian sculptor Valery Koroshilov. Russian/British painter Elena Kourenkova. Russian painter John Luce Lockett. British artist Pip McGarry. British wildlife artist Annie Ralli. British artist Michael James Smith. British landscape artist Will Teather. British artist Gary Walton. British watercolourist Edward Waites. British sculptor Marie Louise Wrightson. Scottish painter Guest artist: Andrew Acquadro. American painter Contact the gallery for the exhibition list and specific artist's biographies. 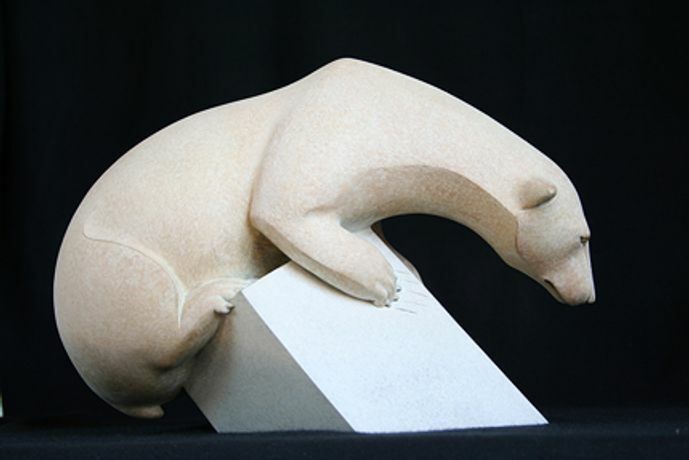 Included in the Winter Exhibition will be sculptures for sale by Adam Binder, British Sculptor (b.1970). Recently Adam Binder became the winner of the David Shepherd Wildlife Artist of the Year 2010. The bronze âSinking Feeling' won the Sculpture category and then went on to win the overall competition.